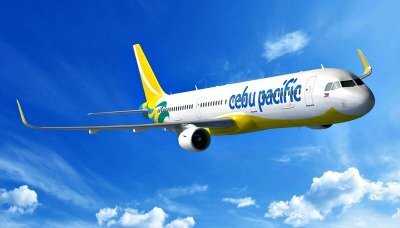 The Philippines' leading budget carrier, Cebu Pacific strengthens its CEB BIZ Fare package to include additional values for corporate partners and customers who have group, bulk or frequent travel needs. CEB BIZ is the corporate solutions arm of Cebu Pacific that enables business customers—from Small-and-Medium Enterprises to large corporations, and even non-government organizations and foundations, to maximize their travel budgets with fare packages designed for their needs. It is open to private corporations and government offices, including companies based outside the Philippines. CEB BIZ fare bundles now include free 15 kilograms baggage allowance and standard seat selection. On top of these, booking and cancellation fees are waived. The CEB BIZ fare bundles still include benefits such as discounted fees on additional baggage allowance, transferable bookings, and waived administrative fees on international routes. CEB BIZ makes it easier to book flights with dedicated access to Sky Partner, the easy-to-use online booking facility of Cebu Pacific. "CEB BIZ enables corporate customers to avail of our year-round low fares, with incentives that suit the needs of business travelers. Plus, CEB BIZ makes it easier to confirm group or frequent travel bookings by doing away with the itemization of some ancillary services. This allows companies to maximize travel budgets, help manage costs and drive business results," said Candice Iyog, Vice President for Marketing and Distribution of Cebu Pacific. For more information on CEB BIZ, contact the Cebu Pacific Corporate Sales team at cebbizaccounts@cebupacificair.com or +632 802 7000, local 6149. Cebu Air Inc. is the largest carrier in the Philippine air transportation industry, offering its low-cost services to more destinations and routes with higher flight frequency within the Philippines than any other airline. CEB currently offers flights to 36 domestic and 25 international destinations, operating an extensive network across Asia, Australia, the Middle East, and the US. Its 60-strong fleet is comprised of 36 Airbus A320, 8 Airbus A330, 8 ATR 72-500, and 8 ATR 72-600. Between 2018 and 2022, CEB expects delivery of seven more brand-new Airbus A321ceo, 32 Airbus A321neo, and eight ATR 72-600. For more information, guests can visit www.cebupacificair.com or call the reservation hotlines (+632)7020-888 or (+6332)230-8888. The latest seat sales can be found on CEB's official Twitter (@CebuPacificAir) and Facebook pages. Guests may also download the Cebu Pacific official mobile app on the App Store and Google Play.